6. 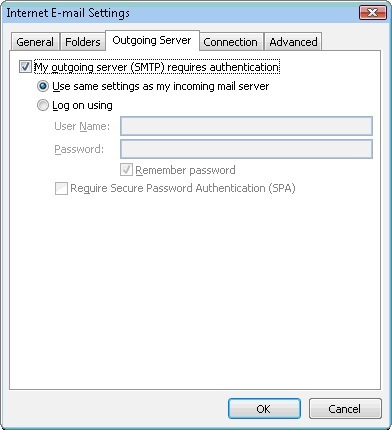 Select the 'Manually configure server settings or additional server types' checkbox. 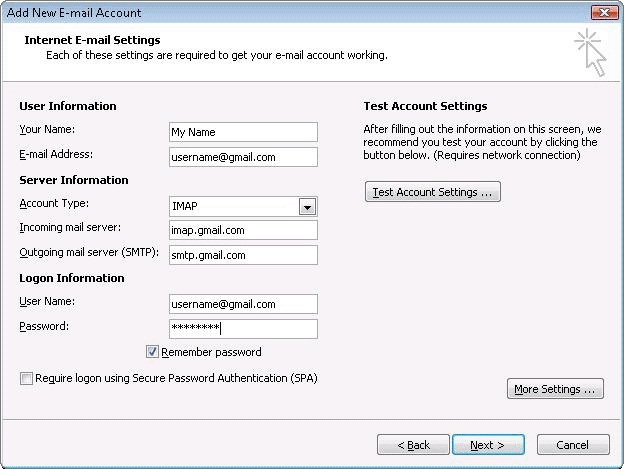 enter: imap.gmail.com and in the 'Outgoing server name (SMTP)' section, enter: smtp.gmail.com. 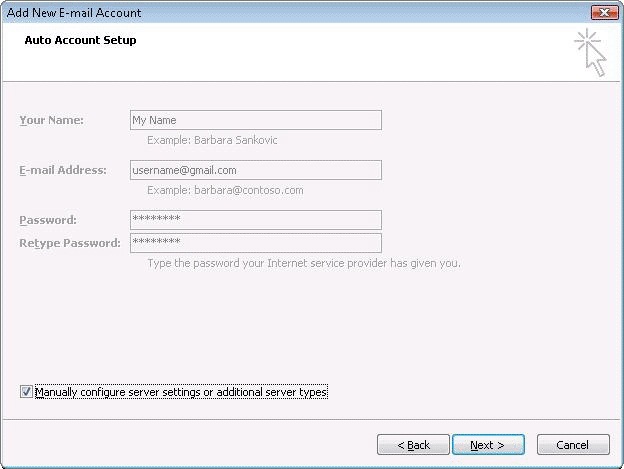 * After creating these settings, clicking Next takes you to the end of the setup. 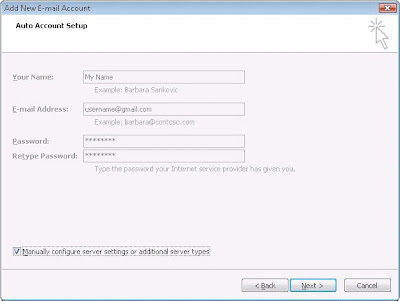 10.Select an account, and click Change above the list of accounts. Click More Settings, then the Advanced tab. 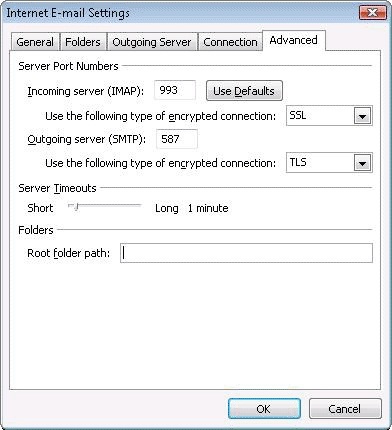 *Incoming server must be 993, and must use SSL3 encryption. *Outgoing server can use 587, TLS4 encryption. 11.Click the Outgoing Server tab. Make sure that 'My outgoing server (SMTP) requires authentication' is selected. 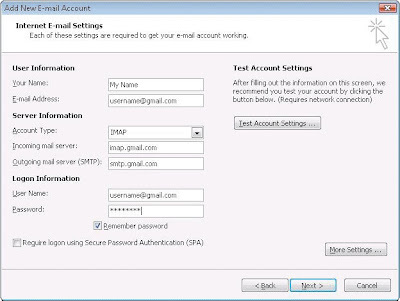 The radio button 'Use same settings as my incoming mail server' should also be selected. 12.Click OK > Next > Finish > Close > OK.